What it’s like to study marine biodiversity in one of the world’s most disputed zones. But, in the past year, the political situation changed. Satellite images and aerial photos have shown China building new islands in the region, and fitting some with what appear to be airstrips and military bases. The United States, Japan, and the Philippines have responded with their own displays of power. In October, a US guided missile destroyer sailed within 22 kilometers of one of China’s artificial islands, provoking sharp words from China. While military vessels push perceived boundaries, the situation has curtailed scientific pursuits. Some researchers have been barred from the region, while others opt out of working around the Spratlys for fear that their presence may lend tacit support to some side or the other. But all the while, this island ecosystem is undergoing rapid development. Aside from news reports and aerial imagery, scientists are all but blind to the changes facing the Spratlys, an ecosystem of outsized importance that serves as an oceanic nursery for fish and coral in the South China Sea. The rapid development of the islands threatens to disrupt not only the ecosystem of the South China Sea, but the economies of the countries that rely on it, says Edgardo Gomez, a Filipino biologist. Even without rising political tensions, conducting research in the Spratlys is tough. The islands are at least a day’s journey from the nearest port, and mounting an expedition such as the one planned by the Philippine scientists is logistically difficult and expensive: such trips often last weeks, and typically cost thousands of dollars a day to supply and crew, funding that many developing Southeast Asian nations lack. But now, even among those who can afford it, access to the Spratlys is limited. For the most part, only researchers from countries who’ve struck a claim to the islands are allowed in. But even then, governments are often reticent to send scientific vessels into such disputed waters—such as in the case of the Philippines’ cancelled cruise. Gaining access to the most contested areas—the central and northern portion of the Spratlys, where the current flurry of Chinese reclamation and patrols is focused—is particularly challenging. Amid the military base building and warship excursions, important changes are taking place in a vital ecosystem—changes that Chinese researcher Zhao says need to be better understood. “As a scientist, I hope government and scientific organizations could pay more attention to the scientific questions on the coral reefs,” she says. Scientists have tried to cobble together their respective bits of knowledge about the South China Sea’s marine life, including the Spratly Islands. But the Spratlys are so ecologically vital to South China Sea economies, that it’s key to understand their ecosystems as a whole. 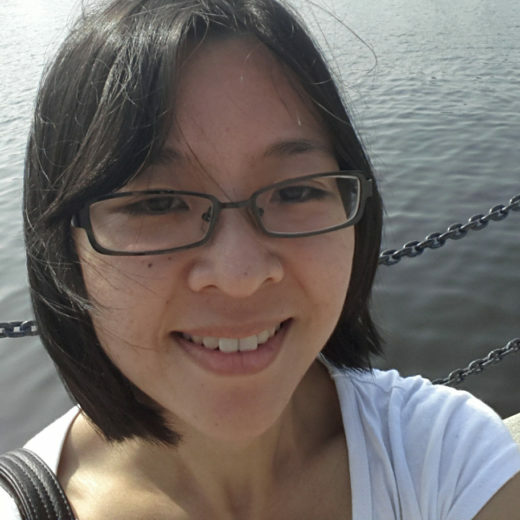 Grace Chua is a freelance writer and editor in Massachusetts. She covers biodiversity, sustainability, and technology. Her work has appeared in VICE News, Citiscope, and Asian Scientist, among others; her poetry has been published in Junoesq, the MANOA literary journal, and Softblow. Cite this Article: Grace Chua “Science and Politics in the South China Sea,” Hakai Magazine, Nov 10, 2015, accessed April 25th, 2019, https://www.hakaimagazine.com/news/science-and-politics-south-china-sea/. Political scientists offer a legal model to move the region forward.